High end brushes are expensive for a reason. Take MAC for example -- Each brush is carefully assembled and crafted by hand. They are made of high quality materials; the handles are made of wood and the ferrule is made of nickel-plated brass. I noticed that most of the face brushes are made of goat hair (mixed with synthetic for the stippling brushes). I know I've said this a couple of times already, but for me makeup brushes are an investment. If you have the moolah, buy the most expensive brush you can afford. Trust me it is worth it in the long run. Brushes like MAC, with the proper care will last you a lifetime. Okay, maybe I'm exaggerating... perhaps 20 - 30 years?! Enough babbling.. let's take a look at my brush collection, shall we?! MAC 116 Blush brush (Php 2,000) - I use this to apply blush. This is the thinner version of the 129. MAC 168 Large Angled contour (Php 2,000) - You can use this for contouring or blush application. 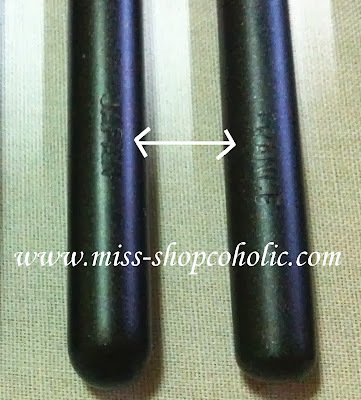 MAC 227 Large Fluff brush (Php 2,000) - to set undereye concealer with powder. MAC 217 Blending brush (Php 1,300) - to blend harsh lines or to apply a darker shade on the outer-v.
MAC 224 Tapered blending brush (Php 1,800) - for blending harsh lines; to apply liquid concealer; to apply a light wash of eyeshadow on the lids. 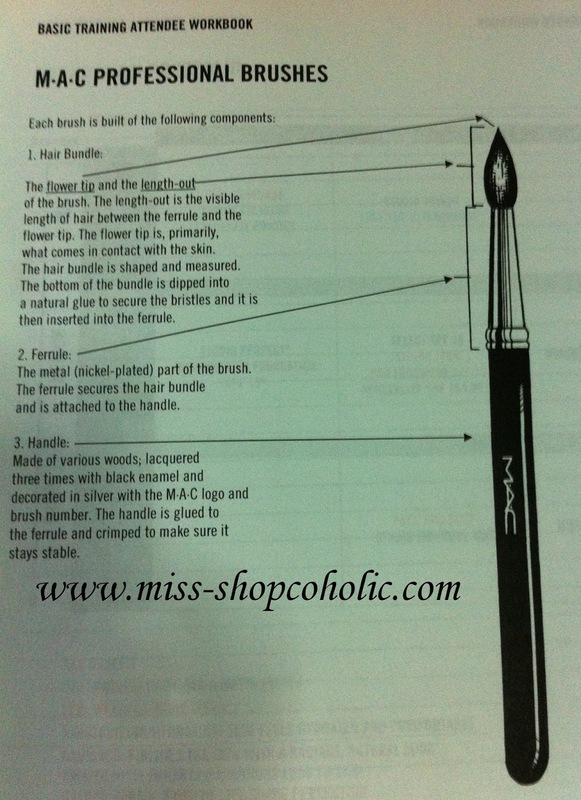 MAC 219 Pencil brush (Php 1,500) - for smudging eyeliner; to apply a darker shade on the crease and lower lashline. 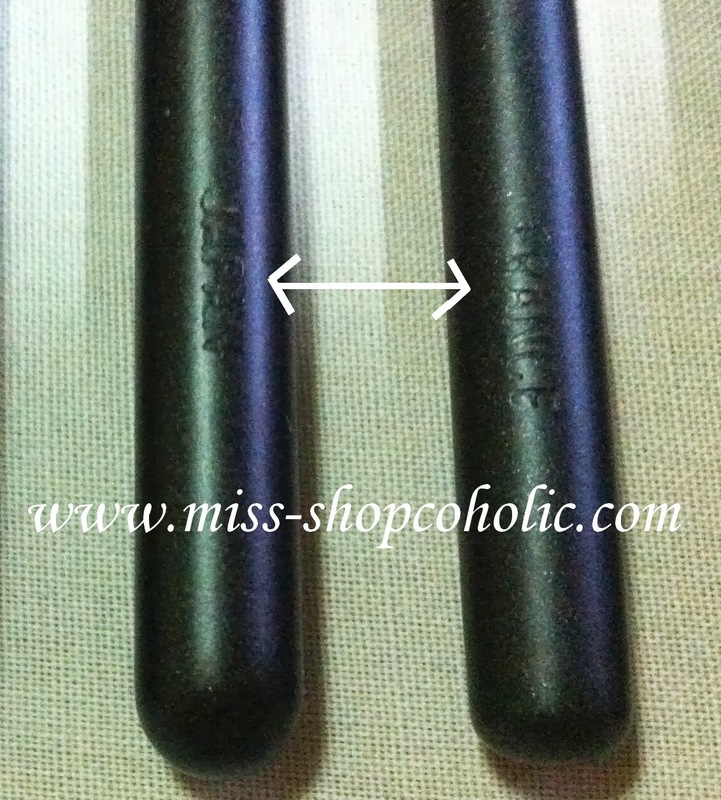 MAC 275 Med Angled Shading brush (Php 1,500)- I use this to apply a highlight shade on the browbone and nose bridge. You can also use this to apply to contour shade on the nose area. MAC 213 Fluff brush (Php 1,300) - for applying eyeshadow; you can also use this brush to fill in your brows with brow powder for a natural effect. MAC 187 Duo Face Fibre brush (Php 2,950) - you can use this brush for almost everything except cream foundations with a hard texture like MAC Studio Tech. MAC 188 Small Duo Face Fibre brush (Php 2,100) - for liquid foundation and cream blushes. MAC 130 Short Duo Fibre brush (Php 2,100) - for BB creams, liquid foundations, powder foundations, pressed powder etc. MAC 191 Square Foundation brush (Php 2,000) - for moisturisers, BB cream, liquid foundations and cream foundations. You can also use this brush to blend MAC Fix+ or Charged Water on the face after spritzing. 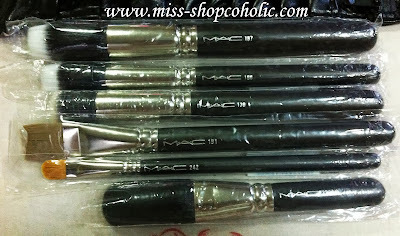 MAC 242 Shader brush (Php 1,500) - for concealer application, eye primer, paint pots or cream or powder eyeshadow. MAC 129SH Powder/Blush brush (Php 2,150) - for powder foundation, pressed powder or blush application. The country where the brush is made is stamped on the bottom part of the handle. Some brushes are made in China, USA, Japan and France. Note: Limited edition brush sets are mass produced; which explains that they are cheaper compared to the individual brushes. 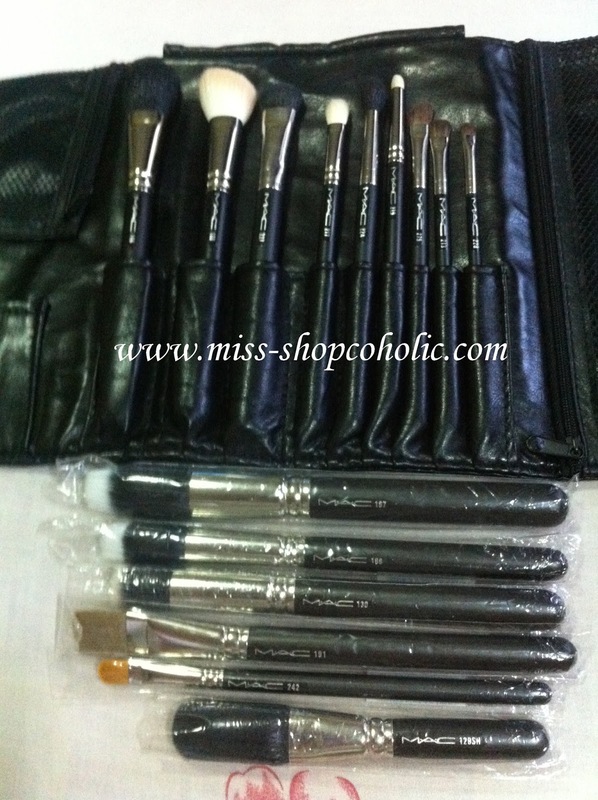 I recommend it for travelling coz it is such a hassle to bring full sized brushes on a trip. Limited edition sets are also great if you want to start building/collecting MAC brushes. Most limited edition set consists of only 4-5 travel sized brushes and are priced at Php 3,500+. If you come across a 12 pc. set, 24 pc. set or 32 pc. set online, those are FAKES! 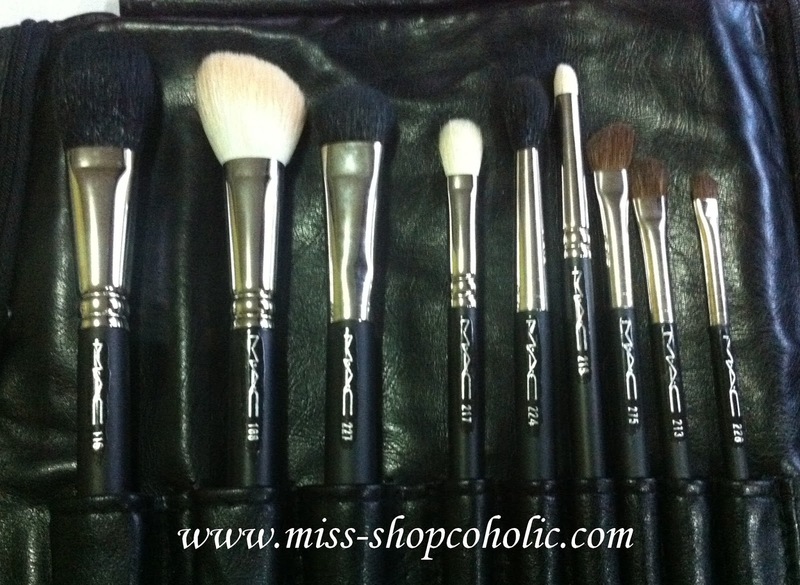 Want to know the SAVE version of the MAC Eye brushes mentioned?